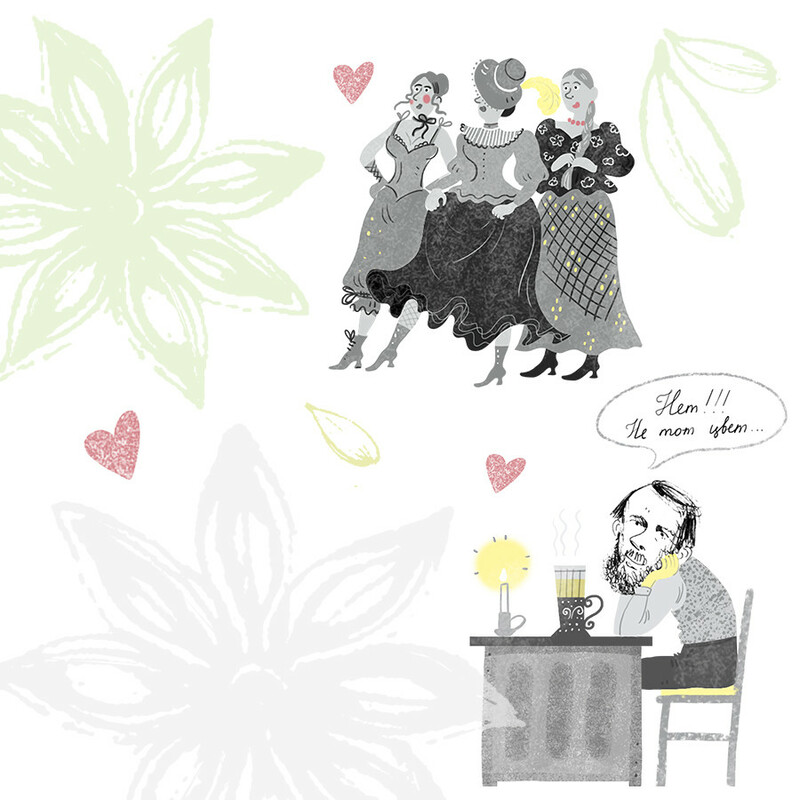 Dostoevsky's second wife Anna recalled how the writer ordered a dish called Moscow selyanka in a frying pan in a restaurant to surprise her - a girl from St.Petersburg. "Indeed, selyanka is an amazing dish," confirms Eldar Orujev, the author of a recently published book about Russian food "Herring with veal. The book about food, writers and recipes." "This is both a soup and a second course. Sometimes it's even soup with fish. However, Moscow selyanka is definitely the second dish. 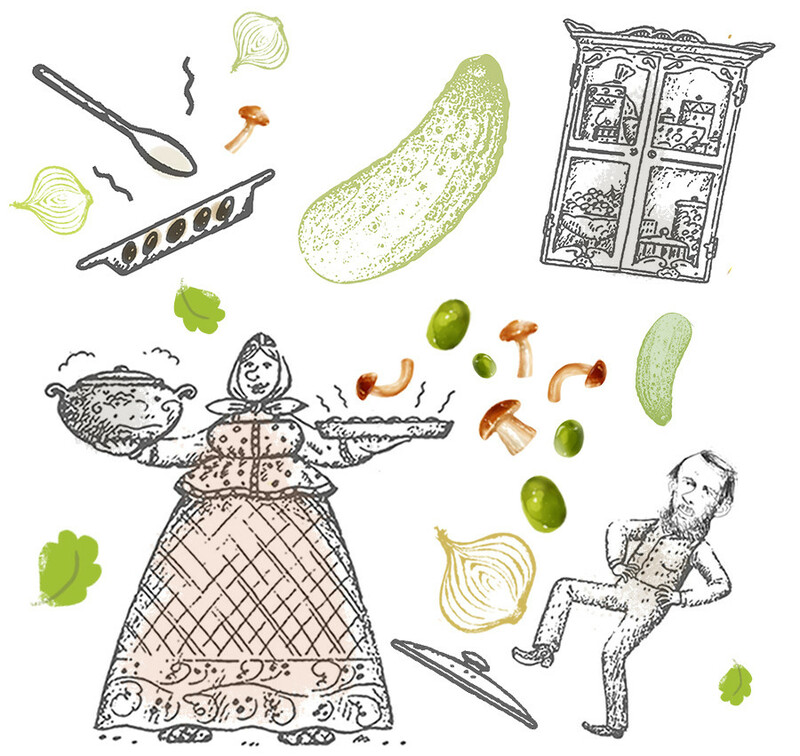 At one time, it was even a Russian version of pizza, a dish that included something that had not been eaten since yesterday and was traditionally served in the morning in restaurants as a variant of folk food." 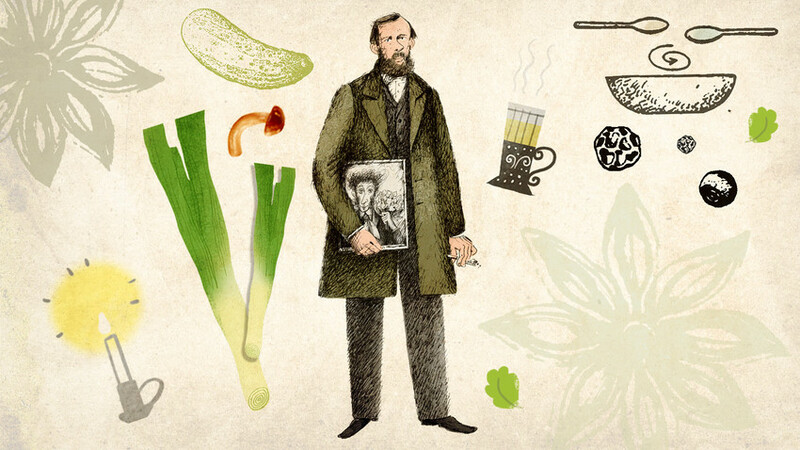 Let's try to prepare selyanka and other favorite dishes of Dostoevsky. Fry the finely chopped onion in butter, then add 750 g of sauerkraut cabbage. Add salt, mix everything, and cover with a lid, cook until ready, then sprinkle with flour. Put the cabbage in another pan, then add a layer of any cooked meat (beef, veal, ham, chicken, sausages) cut into small pieces, before adding another layer of cabbage. Garnish with finely chopped pickled cucumbers, olives, pickled mushrooms, pour the sauce over the roast and put it in a preheated oven at 180-200 °C for 10 minutes. Serve in the same frying pan. Pour a small amount of water on the onion, leek, parsley, then add salt and pepper. Boil a soft piece of beef in this broth. When the meat is cooked, remove it from the broth and cut into slices. Remove the fat from the broth and bring to a boil. Now melt the butter in a saucepan, fry the chopped leeks until soft, add the flour and sour cream. Mix, fry, and then dilute with broth, bring to a boil. Then remove from the heat and pour in three yolks, stirring well. Take the bread, so that all the beef and sauce can fit in it, cut off the top, take away all the crumbs, spread the inside of the bread with butter and sprinkle with cheese. Then put in the bread slices of beef poured with the cheese and pour the cooked sauce over. Close the hole in the bread with the top, and put in a preheated to 180 °C oven for half an hour before serving. Serve, without taking it out of the bread, and eat like pate. The remaining sauce should be served separately in a gravy boat. He always cooked tea at home, not trusting this process even to his wife Anna. She described it as follows: “First he rinsed the teapot with hot water, then put three teaspoons of tea ... and poured only 1/3 of the teapot and covered with a napkin, then in three minutes he added water to the teapot and also covered it ... Pouring his tea, he certainly looked at its color, and it happened very often that he added tea, then poured ... ". 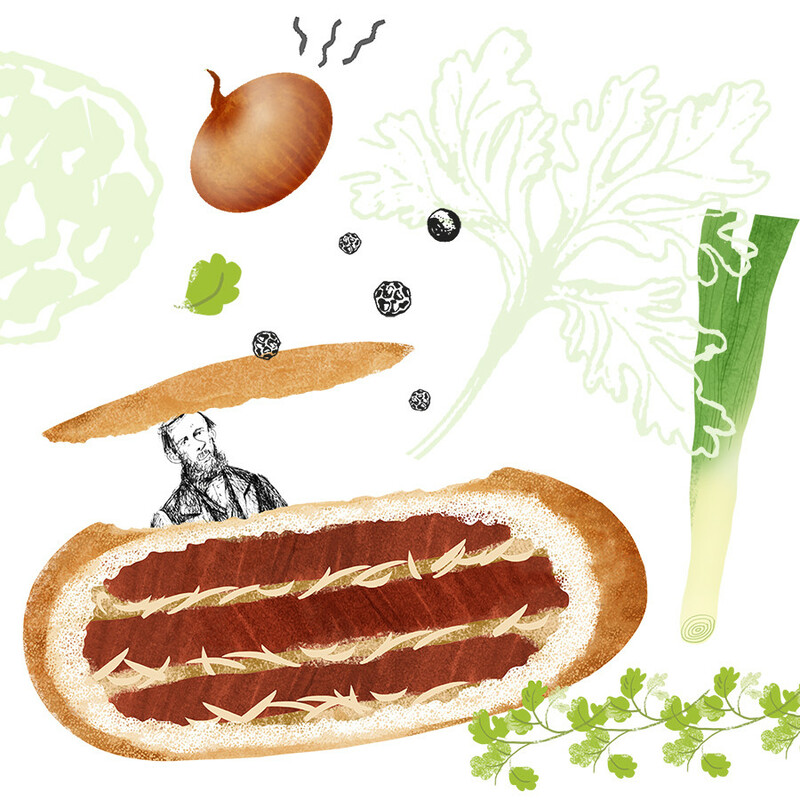 Read more about Dostoevsky's eating habits here.